Preface: Ten years after his first interview with Focus Reports, Wafik Bardissi discusses Minapharm’s position as the leading biosimilar manufacturer in the Middle East. Has Egypt taken steps to incentivize the development or registration of biosimilar products? At present, there is no clear strategy in Egypt to promote biosimilar development or encourage the registration of biosimilar products, and hence address the relevant funding structures needed. The proof is quite simple, as Minapharm is the only biotech player to have emerged in this part of the world during the last 15 years. Since most domestic pharma companies and the national drug authorities are preoccupied with today’s pharma challenges (pricing, competition, etc. ), limited attention has been given to developing strategies to accommodate growing demand for biologics and improve patient access to these potentially lifesaving drugs. The Egyptian Ministry of Health published the first Egyptian guidelines for the registration of biological products in Egypt in 2015 in accordance with the WHO standards, yet these have not yet led to the effective implementation of abbreviated regulatory to enable lower development costs and shorter time-to-market for biosimilar products. This absence of an effective biosimlar strategy is particularly worrying as the government has recently taken clear steps towards expanding social health insurance in Egypt. Thus, the availability of affordable biosimilars will have significant financial implications and likely contribute to the quality of care provided to Egyptian patients in the future. Without a clear strategy to encourage the development and registration of affordable biological products, Egypt faces the increasing risk that either the cost of biologic drugs may place massive pressure on Egypt’s healthcare budget in the near future, both in terms of private and public healthcare expenditures, and moreover limit the quality of care Egypt as a society is able to afford. Is there a model in another part of the world, that Egypt or the region can look to? Brazil, for example, took a determined and strong stance to effectively implement a strategy that triggered the transition from purchasing imported drugs from the originator to domestically manufactured biologics. The adopted strategy motivated partnerships between local and international biosimilars companies to register and commercialize products in Brazil via technology transfer agreements, capitalizing on the expertise and track record of local biologic manufacturers. Adopting similar medium and long-term strategies to encourage domestic production of some key biosimilars in Egypt would conciliate the interests of local biologic manufacturers and originators alike and assures fair patient access to life saving and life enhancing biologics. Governmental policies are a critical success factor and it is unlikely that local manufactures of biologics will emerge without resolute governmental support. In 2010 Minapharm acquired ProBiogen the Berlin-based internationally renowned cellular engineering specialist and global provider of intelligent proprietary technology to the international biotech industry. 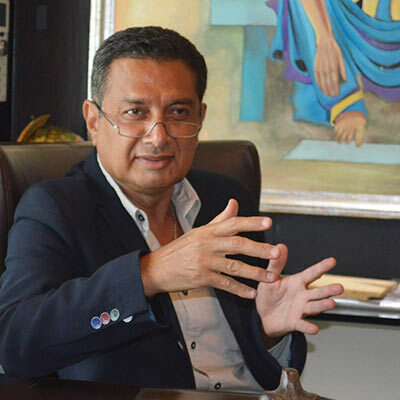 – Wafik Bardissi, Minapharm’s CEO. Certainly it is essential that Egypt makes the necessary regulatory changes soon. Minapharm’s experience in biosimilar development has proven that, while sharing commonalities, the biotech industry and pharmaceutical manufacturing industry have also significant differences. Developing the necessary technical know-how, expertise and manufacturing systems is a complex and lengthy process and thus a major interdependent challenge, and the associated risks pose severe challenges for companies willing to develop a strategy to ensure timely availability of affordable biosimilar products in Egypt. In Minapharm’s case, it has more than ten years to establish the intellectual capital and organizational culture capable of dealing with the complex manufacturing and analytical processes essential for a variety of recombinant technologies. You were last interviewed by Focus Reports in 2006: how has Minapharm changed since then? At that time the pharma business was growing and a successful launch of the first therapeutic proteins from the joint venture with Rhein-biotech (now a part of Dynavax Europe) had recently taken place. Minapharm’s strategy and commitment at the time was clearly to grow the pharma business in parallel, while supporting the growing biotech business. In 2010 Minapharm acquired ProBiogen the Berlin-based internationally renowned cellular engineering specialist and global provider of intelligent proprietary technology to the international biotech industry. This transaction has gained tremendous interest from the German and European public as for the first time, the buyer of an established leading European biotech enterprise is from an emerging market. Not only did this transaction consolidate our biotech business and ensure its sustainability, it provided a visionary cooperation platform to use German know-how to develop and market innovative and affordable medicines, including modern immunotherapies that are now in our pipeline. 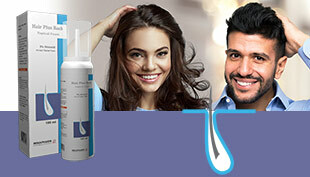 With Probiogen as a subsidiary, what position are you seeking to take in the local Egyptian market? While synergy projects are constantly driving technology transfer between Cairo and Berlin, investments in two new facilities in Cairo and Berlin are ongoing to push forward the independent businesses of Minapharm and its German subsidiary Probiogen. Minapharm is giving its Berlin-based subsidiary the free reign to expand its business and strengthen its solid international customer base that includes large pharma players from across the continents. As an entire organization, Minapharm has transformed from a leading regional technology driven manufacturer of affordable pharmaceuticals and complex medicines, to a global provider of intelligent technologies to the biotech industry at large. 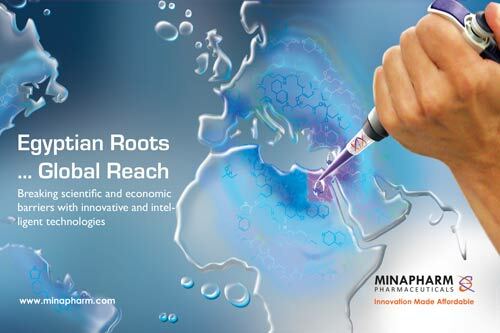 In Egypt and the MENA region, we Minapharm is focusing on maintaining and consolidating our position at the forefront of the biotech industry. In addition to three marketed therapeutic proteins, Minapharm has benefited from a cooperative development plan with our subsidiary Probiogen to assemble a first-rate pipeline of immunotherapeutic agents that are currently at various stages of development.